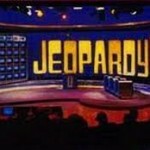 If you are a Jeopardy! fan who recognizes the potential this book could have for discussing many analytic themes—category theory, epistemology, implicit definitions, description theory, artificial intelligence, probability, intelligence measurement, to name a few—to an avid, dedicated, and brainy audience, let me know of your interest and qualifications. Open Court or I will be in touch with prospective editors shortly.